Today, the 16th of September 2014, Valley Forge Christian College became an official university! 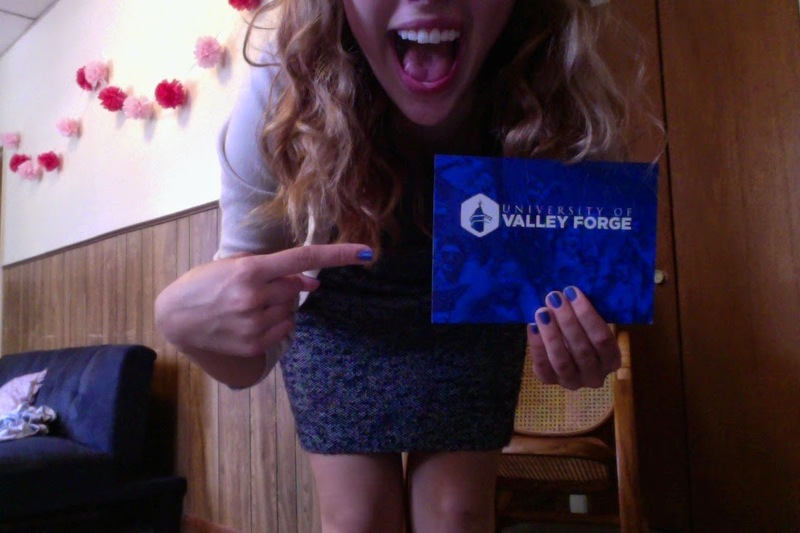 I am proud and excited to say I will be among the first class to graduate from the University of Valley Forge. To celebrate, the school was decorated with balloons and signs and during chapel we had a drumline, confetti cannons, and lots of cheering. Afterwards there was an outdoor party complete with DJ and photo booth! A few friends and I went out to lunch to celebrate. The weather was extraordinary as well! Everyone seemed to be having a great time, and I am just so excited to finish out the next two semesters here as a university student. I can't wait to see how it pans out! 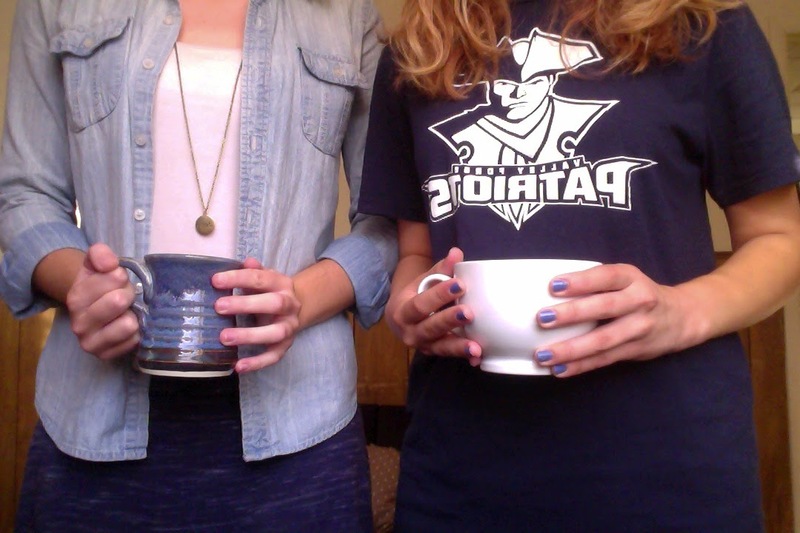 so we did for university day! Don't we look sharp? Seriously, it was such a beautiful day! The President of our school, Dr. Don Meyer, made sure to close the ceremony with everyone singing "Great is Thy Faithfulness" and then hung out with the students, eating and taking photos and playing catch. He is such an awesome guy and a wise leader for this campus! Even though I can get really frustrated and stressed at times, I truly love my school and everything that it's taught me (in and out of the classroom). My professors are so smart and have such a vision for this place and it's students and I am more than excited to stand up and receive a diploma that reads "University of Valley Forge" in the spring of 2015. University of Valley Forge from UValleyForge on Vimeo. That is so awesome! Congratulations on being part of the first group to graduate from the University of Valley Forge! I know! I feel super official and studious haha! The 11:30am classes were cancelled so everyone could go to the outdoor party, but I don't have a class at that time anyway. But it was pretty great for students that did! Congratulations on starting school! University is great and I love learning from so many people from different walks of life, I'm sure you will love it! What will you be studying? Thank you Neive! I actually started a while ago, I'm a senior. The status and name of our school changed yesterday from "college" to "university." I study Psychology and hope to pursue a degree in art therapy.